Futuring has gained influence around world and now there’s a professional certification in foresight available at the University of Houston. Even national conferences and events like South-by-Southwest, which started as a music festival, has also evolved into a film, education and interactive technology innovation conference in Austin, Texas now features sessions and speakers on the future. The World Future Society annual conference draws some of the most prominent futurists in the world every year. Edward Cornish founded the World Futurist Society in 1966. With members from 80 countries, it was one of the first organizations dedicated to the process and legitimization of Futuring. Politicians, corporations, and defense departments routinely purchase futurist information on technology, healthcare, government affairs and agriculture. The philosophy has also dipped into personal relationships – for those trying to stay ahead of all trends that could surface. Richland County has a toehold in this discipline. His name is Dave Baldwin, president and chief synthesist at Aquarian Technology Systems. 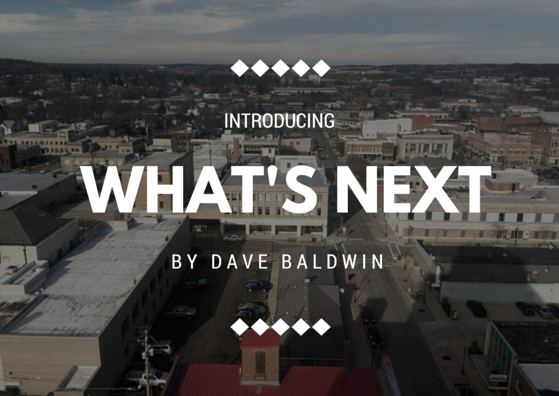 Baldwin is also a futurist and innovation consultant associated with multiple companies, helping them prepare for the future. He leads a project to establish a center for creativity and entrepreneurship at Northern Sate University in Aberdeen, South Dakota. He is one of more than 100 global experts for TechCast Global, a forecasting think tank in Washington, D.C. who relies on the group’s expertise in technology strategy. He is also a facilitator for Dublin, Ohio where he is helping launch, implement and operate the ICF Institute for the Study of the Intelligent Community Dublin, Ohio, USA. Futurist, David S. Baldwin, president and chief synthesist of Aquarian Technology Systems in Lexington. The Lexington resident looks for weak signals to research at local levels to prepare his clients for what may be a trend tomorrow. “This is now here, now what’s possible there? We’re looking at obscure information and obscure sources,” Baldwin said. “People think you’re crazy. It’s not innovation if you’re taken seriously because if they are already in tune with it, it’s not innovative. Part of the challenge for futurists is getting taken seriously. “For instance, if you were at a board meeting approving your organization’s 10-year plan the night before the Internet was unveiled — your 10-year plan is thrown out the window. Who would have seen what was possible when the Internet was introduced? Who would have foreseen Google, as an application that wasn’t thought of before? Somebody did. That’s what we do. Futurists, Baldwin said, are misunderstood and constantly measured against the whacko-idea, where people focus more on what forecasts didn’t happen than what is actually happening. Baldwin said because Futuring is not an exact science, there can be unpredictable outcomes. Sept. 11, 2001, for instance was impossible to foresee, he said. The time is now, Baldwin said, for Richland County to think about its future. Rick Smyre, president of the Center for Communities of the Future in Gastonia, North Carolina, said it’s important for everyone to be conscious of the future. “We live in a time of history in which fundamental ideas of how we lead, how we educate, how we do economic development, how we govern and how we think, especially how we think, are in the process of true transformation,” Smyre said. “The Industrial Society, based on hierarchies, standard answers and predictability, is receding in our rear view mirror. What is emerging is not fully formed, yet will be based on interlocking networks, multiple choices and a need to be comfortable with ambiguity and uncertainty. The future will forever be tomorrow, but there is no reason to not prepare for it today, Baldwin added. Studying signs for change and acknowledging how the future may be shaped is as important as understanding and learning from the world’s history. “We should be spending as much time looking ahead as we do looking back,” Baldwin said. EDITORS NOTE: Today is the first in a series of stories about futuring and the effect it could have in Richland County and beyond.